These gorgeous 100% Remy hair extensions will last for months if well cared for. Made from super soft and silky Remy human hair they’re double wefted for a much thicker look and feel. They can be cut, curled, and straightened just like your own hair. They attach to your hair with small lightweight metal clips lined with an anti-slip silicone strip so you can be sure they’ll stay put, the clips match the colour of the hair and are slightly curved to fit the contour of your head making them super discreet and comfortable. With this 10 piece full head set you can add stunning, natural looking length and volume. Perfect for fine to medium hair these extensions are beautiful, they are double wefted, tangle free, and there’s minimal shedding, this is what hair dreams are made of. These clip in hair extensions are easy to apply, they simply clip onto your existing hair which can do using a mirror in minutes. Good condition and colour but very thin. Not as advertised. I have been struggling to find extensions that match my hair colour. The red wine colour is a perfect match but the extensions are very fine so it was way too obvious that I was wearing them and they did not blend with my hair well at all. I now have to purchase another set and see if that works. It is disappointing in all fairness as they are advertised at thick extensions which they aren’t. I would recommend because the quality of the hair in terms of condition and colour is great but disappointed with how thin they are. These are great! Great value for money and perfect colour match. They are thin though and i have thin-ish hair so i got two packets off reading the reviews and glad i did. So would recommend anyone getting two sets to make it blend more. But theyre great. Look natural and great quality! are these good ordered them today? 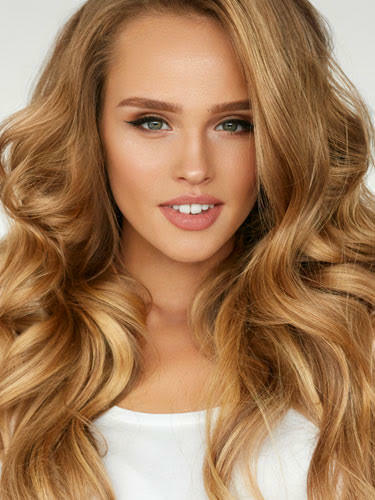 fill a full head and full of volume?? Extensions arrived With hair hanging with ends, Very thin and poor colour match Ive always bought chocolate brown and these were more like the lightest brown when they arrived. Most of the extentions arrived with no clips on I have had to take clips off of old extentions and sew them on. Also they are very thin and wispy- I will definitely go back to Clip in hair and pay double the price for better quality and pieces with clips on. I have just recived my hair extensions that were advertised saying triple weft in one section and double weft in another. However they came double weft and are very very thin(hardly double weft) The colour, condition and length are absolutely lovely aswell they are comfy but the lack of hair isnt so good, i will now have to purchase 2 more packs even though my hair is fine-medium. I recommend these but i advise buying more than 1 pack if you have fine hair! Absolutely amazing hair! I\'m a hair stylist and been through loads of hair extensions these are by far the best ones! Hair is so soft and adds good volume and thickness to my hair had so many compliments. going to be a regular customer now love them so much! Wow, I never write reviews on products until now , I really was disappointed in shops and the hair I have been buying that was so expensive and shorter length extensions only being available. Then I found this website offering the lengths I wanted and for a great price and the lovely hair quality it had to offer so I made an order. I received the very next day and now I have made another order, the hair is absolutely the best hair extensions I have ever bought, beautiful coulour, didn\'t have to dye them like I would others, they are so soft and An incredible length , lots of hair definately worth the money . I will not be using any other brand of hair I love these extensions so much I\'m so happy . I placed my order on Saturday night, they arrived on Tuesday, great colour match however not enough hair so have ordered another pack, my hair is around 14inc and a straight cut so hard to blend for length, lovely quality. I placed my order yesterday afternoon and received these the following morning. I cant complain about the delivery or the quality. The hair is amazing and matches my hair colour perfectly. Thank you. these are brilliant .the colour and quality are great and a really affordable price.i bought the 15" 12/16/613 they are perfect for adding volume and length to my own hair .and so comfy to wear . Just received my clip in hair extensions and I am more than happy with the quality!! Delivered within 2 days and the extensions look and feel fab, I'll definitely be buying from here again! Super fast delivery, ordered them to Malta and the hair arrived in 5 days. I'm also pleased with quality of the hair. absolutely FAB. these extensions are the best I've ever used, can't get enough of their excellent quality! We bought these for my teenage daughter as suggested by our hairdresser. They looked so natural and were so easy to maintain and keep with her own hair style that her friends thought that she had her hair coloured. She was so happy that they were so easy in and did not hurt when sleeping. I am currently on the site to buy more and purchase more than one colour as she is looking for something different again. Also at the suggestion of the hairdresser.